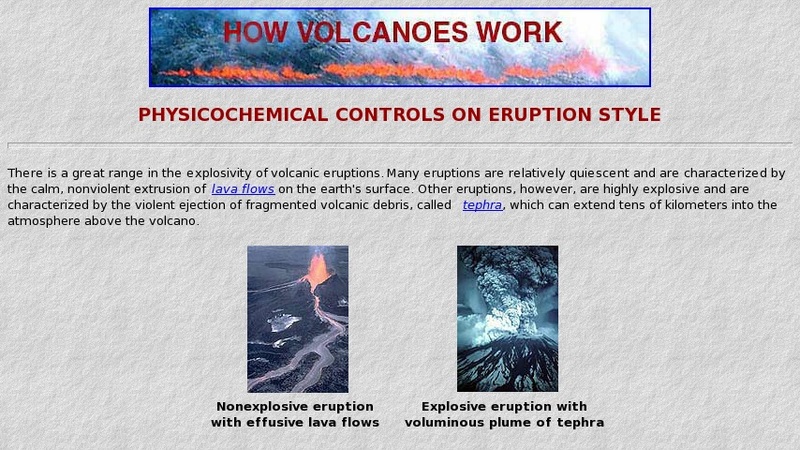 This site describes the nature of pressure surfaces and explains the dynamic processes associated with the eruption model. Magma composition and viscosity are discussed, as well as vesiculation. Also, there is a link to a computer program which allows the user to construct a diverse group of volcanic landforms through the simulation of variable types of eruptions. It can be downloaded free of charge.